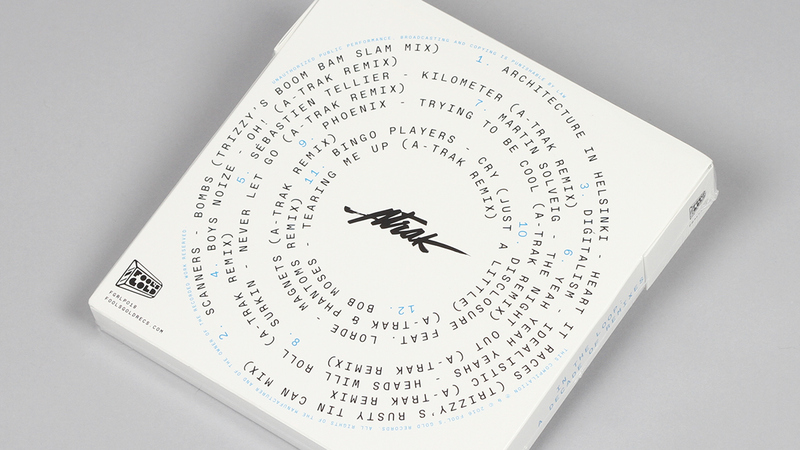 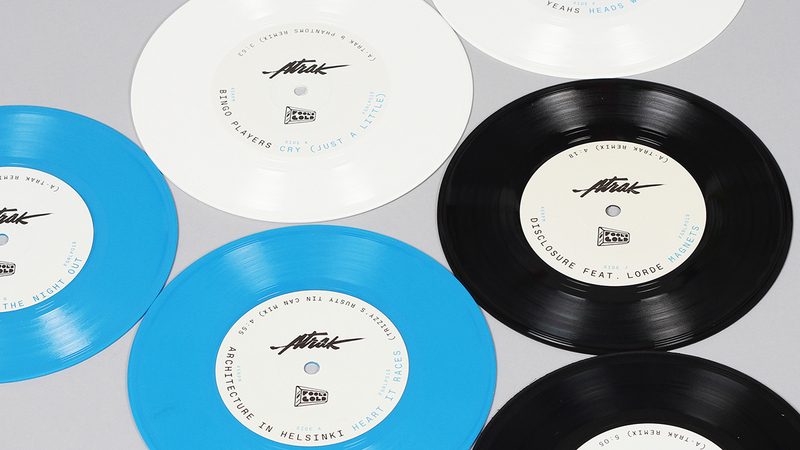 In the Loop: A Decade of Remixes is available digitally, on CD, and a limited edition 7” vinyl box set with custom artwork and a 32-page booklet written by A-Trak. 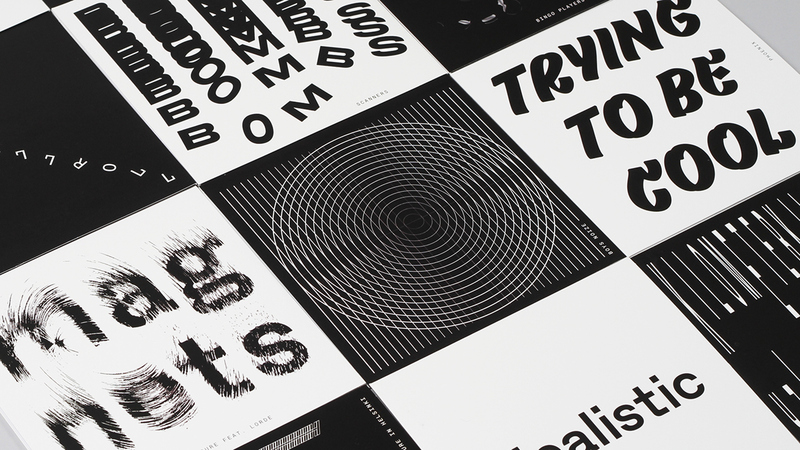 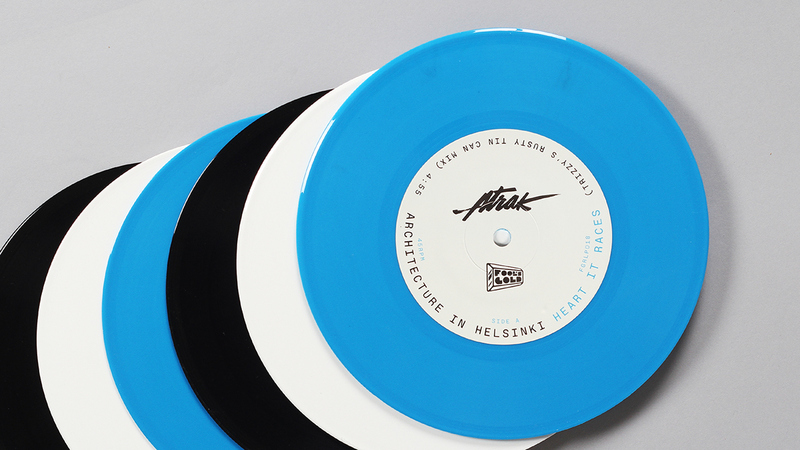 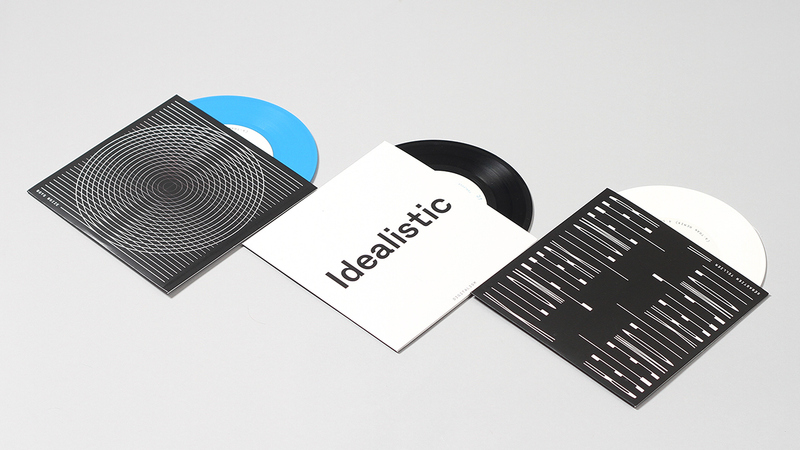 We designed each element from the 12 conceptual typographic covers to the labels for the 45s. 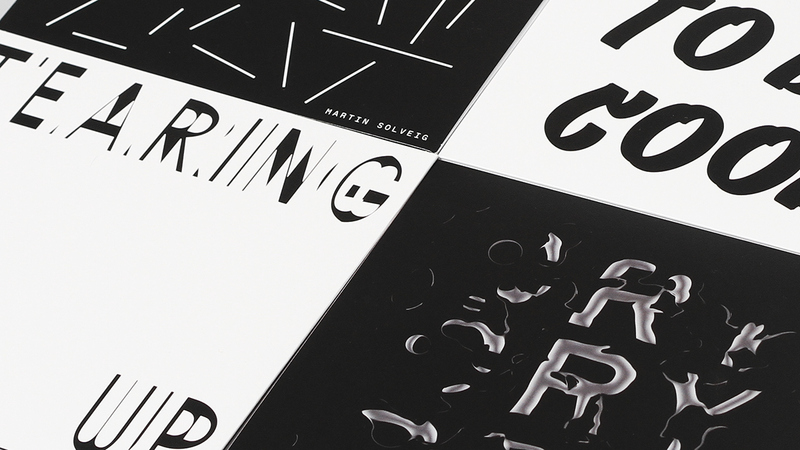 We approached each single cover as an individual piece of typographic art thinking about how they could both move and live in print. 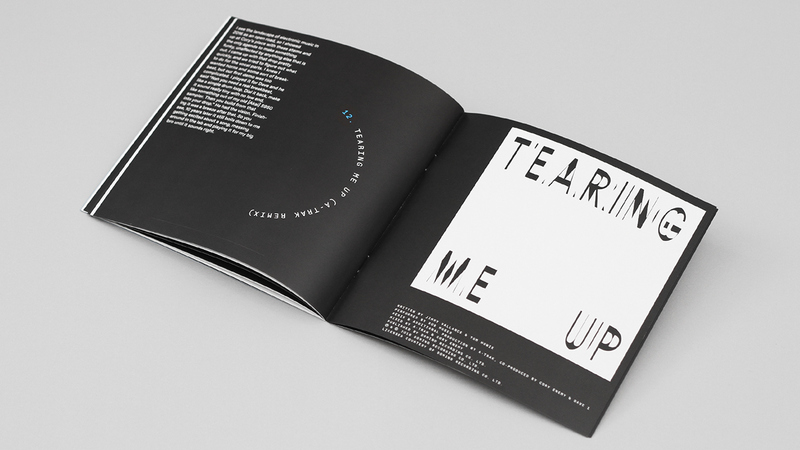 The goal of each cover was to embody both the music and relate conceptually to the track title. 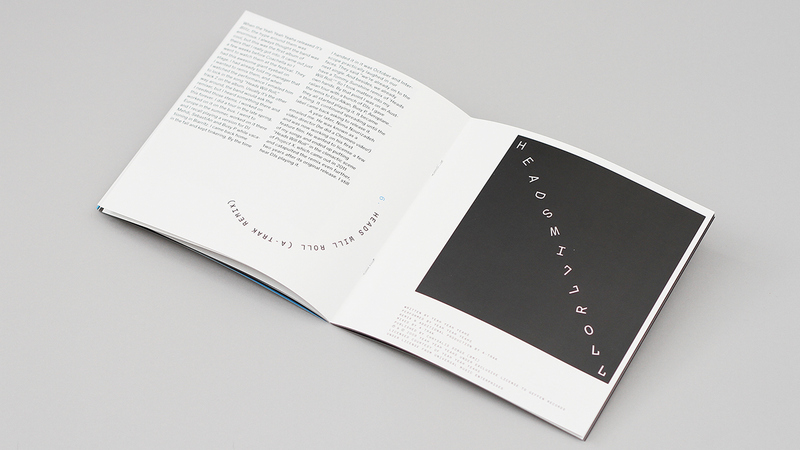 Secondly, we created a minimal typographic identity for the booklet and packaging to support the intensity of the individual artwork. 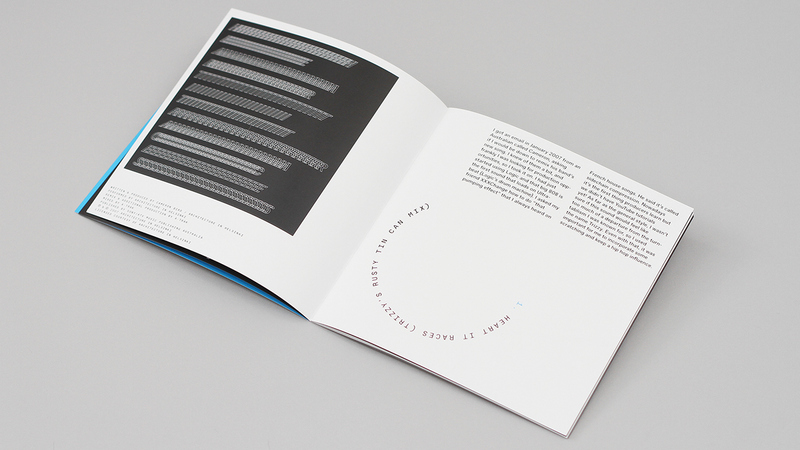 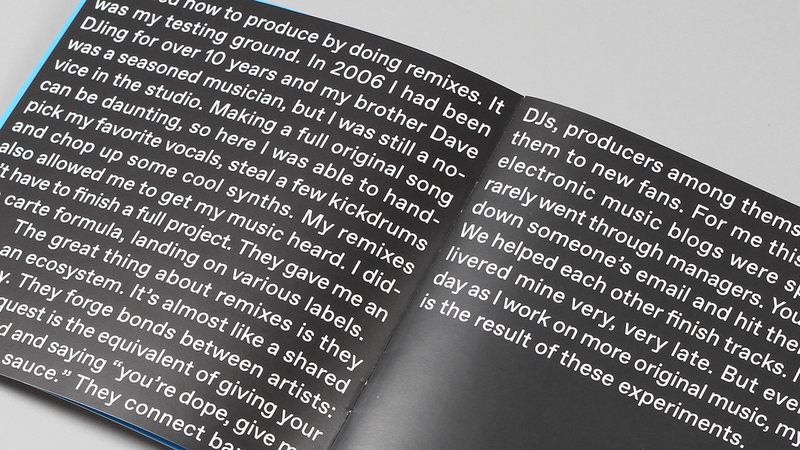 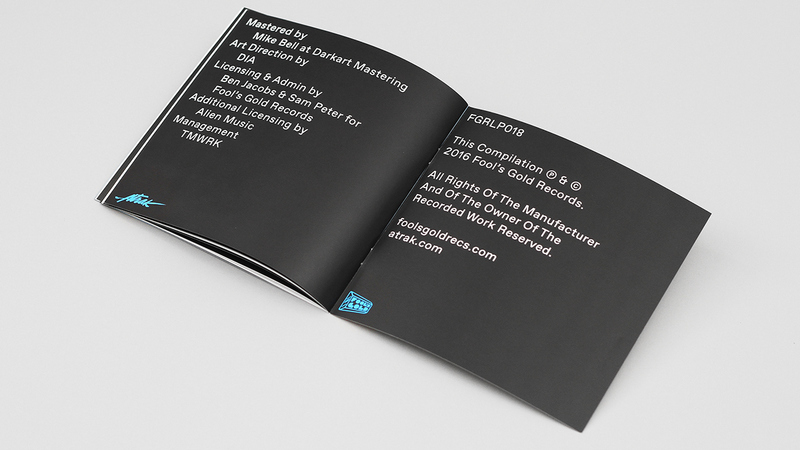 To give the layouts an added conceptual layer we brought in looping motif that is pulled from the front and back cover of the box and repeated throughout the spreads and the record labels.